St. Anthony of Padua Roman Catholic Church, at 9th & Dupont Streets in Wilmington. Long the centerpiece of the Little Italy neighborhood, construction began in 1925. 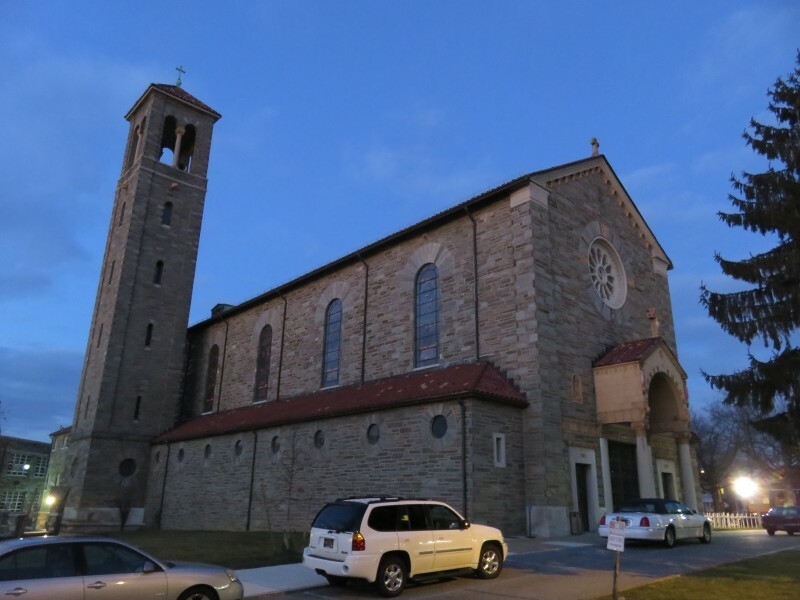 The church was modeled after St. Zeno Maggiore in Verona. Work was done by hand by the parishioners, many of whom were stonemasons, carpenters, and tradesmen who acquired their skills before they moved from Italy. The barrel vault ceiling was completed in 1948, and the mosaic over the altar and sanctuary was completed in 1949, after being fabricated in the Vatican’s studio. Photo by xzmattzx.